It's hard not to feel warmly towards the five lonely unmarried Mundy sisters, with Meryl Streep in the role of the strict school teacher named Kate, Catherine McCormack playing the role of Christina, Kathy Burke playing Maggie, Sophie Thompson acting as Rose and Brid Brennan playing her role as Agnes. Their moments of conflict, nostalgia and love are beautifully portrayed through this movie despite its lack luster script and dialogues. Each sister has a definite sense of what's right and that's so natural in a family where siblings are likely to feel that way. However, even when such conflicts are not resolved, they learn to love and accept each other's shortcomings. The sisters live in a bleak and remote Irish village, where the festival of Lughnasa is a pagan celebration of love and letting go. A bitter sweet note is added to their existence by the presence of Christina's 8-year-old "love child," whose name is Michael. Meanwhile, their brother returns from Uganda after25 years and he is a priest named Father Jack. Their shock and bewilderment gives way to acceptance when they realize that Father Jack is living in a world of his own that is inhabited by pagan religion and faith than Christianity for such has the impact of Africa been on his mind. There are so many memorable moments in this movie. Here's one that I liked: Kate (Meryl Streep) is the strict, domineering sister, almost like the matriarchal figure who keeps a close and watchful eye on the behavior of her sisters. She is scandalized when her priest-brother says to the sisters that he would be happy to see them all have a love child, a popular practice in Africa. Among the sisters, Kate is the beauty and her love for the man of her life leaves her with a love child. She doesn't mind but she pines for the man of her dreams, who returns and brings with him more love and passion that lasts in her life. Rose is one of the simple minded sisters in the story whose passion is to go out with Danny Bradley in the boat that he's promised to take her on. She is too simple, trusting and easily fooled, due to which her sisters are very protective about her and caution her against getting involved with a married man and a flirt like Danny. Her heart tells her otherwise and she goes ahead with what she believes is the right way. Though I am not an expert on the subject, I loved the look and feel of Kenneth MacMillan's cinematography. The Irish countryside scenes are breathtakingly beautiful. 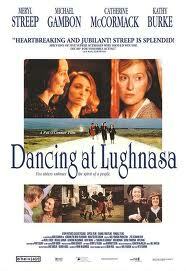 Dancing at Lughnasa is a very different kind of a movie. It is sombre, slow, romantic and beautifully shot. It has its fine moments too that leave a feeling of homesickness and nostalgia in your mind, particularly if you have siblings. 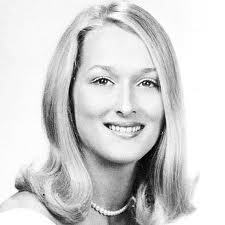 Meryl Streep's controlled performance is awesome but I'd have liked to see some real happiness in her characterization. If you think it's interesting, do go and watch it. see i told you.... this comes on the must watch list now!! :) thank u for writing!! First of all, thank you, dear, for visiting my blog (Mommy Labs) and sharing warm, genuine comments. I'm so glad you liked the creative activities that we do at home. This book review of yours is so thorough and intelligent, it makes me watch this movie, too. This weekend is almost gone past. I think, I'll pick up a DVD for the next weekend. Let's be in touch! Cheers! Wonderful to hear from you too, Rashmie. Thanks for dropping by.